The 'nature versus nurture' debate goes back a long way. Plomin doesn't generally go into history of science in this book, which is probably just as well as one of his few mentions of history is to say 'These environmental factors were called nurture because, from Freud onwards, their origins were thought to lie in the family environment.' But Francis Galton came up with 'nature versus nurture' in 1874 when Freud was only 18, and the term nurture in this context wasn't new then. 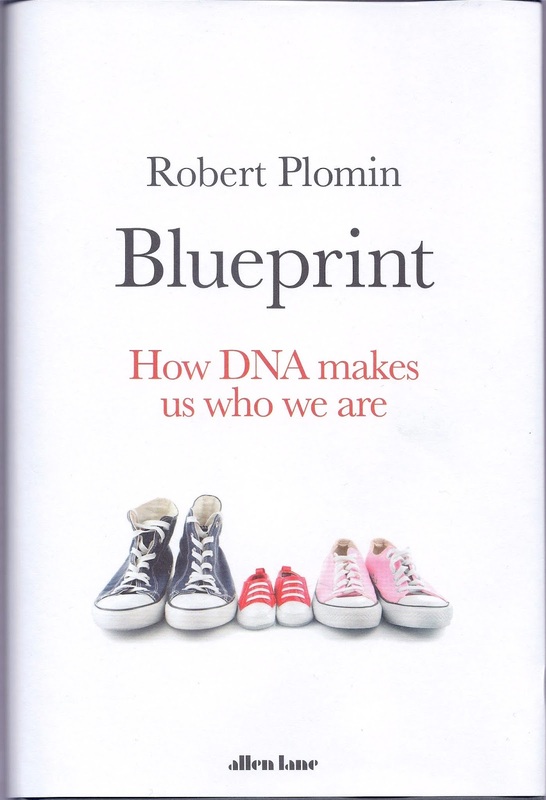 In his career, Plomin has run and captured data from, large-scale twin studies that make it very clear that the debate is over. On average, about 50 per cent of our behaviour is directly genetic, and some traits are even more strongly heritable. Our genes are by far the biggest single influence on our personalities and behaviour. More remarkably still, Plomin goes on to show that parts of the remainder that apparently isn't genetic can still have a genetic source. The problem is, when there is an environmental situation and there is an outcome in someone's behaviour, we tend to assume that the environment causes the behaviour. However, taking this as read is the old problem of confusing correlation with causality. The behaviour could equally change the environment. It turns out that shared environmental influences - such as those experienced by siblings - have very little impact on behaviour. Most environmental influences are random and relatively small. Even fellow psychologists (perhaps especially fellow psychologists) have trouble getting their heads around the degree to which nature, rather than nurture, dominates. In his recent book The Genius Checklist, psychologist Dean Keith Simonton tells us that roughly half of who you become depends on genes and half on 'choosing your home and school environments.' But Plomin makes it clear that neither of these have much impact at all, unless the environment is dire. He emphasises that good parenting will support children to achieve more easily and happily - a loving environment makes their life better, which surely as parents we want - but that it makes very little difference to their behaviour, except in religious and political beliefs. There are some powerful take-away messages here. One is about psychological disorders, the entire basis of current psychiatry. Plomin makes it clear that they simply do not exist. A physical disease is typically caused by, say, a single bacterium or virus. But what are labelled psychological disorders are the combined effects of a large number of genetic variations. As a result they are all spectra. I must admit, I'd always thought the idea of referring to 'the autistic spectrum' rather than 'autism' was classic academic 'why use one word when we can use three' - but now it makes a lot of sense. It's clear we need to tear up the approach taken by psychiatry and start again, based on scientific evidence. One really interesting point that Plomin makes is that in getting away from the 'disorder' mentality we have to dismiss the idea that being at the 'none at all' end of a psychological spectrum currently described as a disorder is ideal - it's entirely possible that it's better to be further up the spectrum. Another example of the impact of understanding this work is the fuss that is made about, for example, proportionately more privately educated children going to university than those who go to normal schools. Plomin points out that academic achievement is one of the more heritable factors (around 60% at school age and rising to 80% in later life). If you control for the fact that most private schools and grammar schools select, there is no real improvement in academic achievement from going to a private school. Of course, this doesn't mean there isn't bias in giving people jobs and so on, based on background, gender, race. But in terms of academic outcome, the genes win over the money. The last part of the book takes everything a step further. Plomin's earlier work was primarily based on studies of twins and adoption, which give a window on nature versus nurture. For a long time he failed to get anywhere with attempts to fully pin down the science and link outcomes to specific genetic differences. This proved to be because there are almost always vast number of tiny factors, rather than single genes causing a behaviour. However, in just the last couple of years, the technology has finally made it possible to do large scale studies at the genetic level, and it is increasingly possible to predict our nature from genetic testing. As Plomin makes clear, this is statistical - nothing about our behaviour is set in concrete, and those with a high genetic proclivity for, say, academic achievement could still be low achievers, because whatever the genetic markers there is a normal distribution of outcomes. He also notes that there are ethical issues that need to be carefully addressed, but it is still a remarkable development. This is an important book. Parts of it could have done with a bit of help with improving the writing - it can be quite repetitious, with one section that hammers the reader with statistics for too long. There are also some situations where it would have been nice to answer a few 'Yes, but why?' questions. For example, Plomin remarks that eye colour is 95% due to genetic influence and immediately I'm wondering what happened to the other 5%... however, we don't get told. The blurb tells us that this book will 'revolutionize how we think about how we parent, the choices we make and who we are.' For once, I don't think the marketing claim is an exaggeration. The findings here should be shaping everything from psychiatry to education. Welcome to the brave new world. OK, well, you don;t often get someone put their life's work into a single argument like this. I *hate* stats, but even with the scary bit at the start of part ii this is so readable. I read it in one big hit. And I'm convinced.